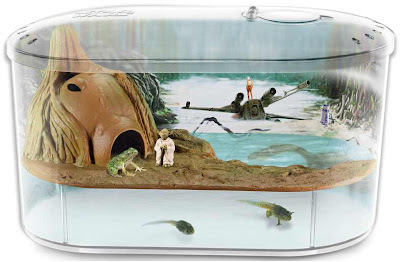 What's happening to Star Wars merchandising lately? Is it just me, or has the brand's licensing gone wacky amid the absence of new movies in the series? A few months ago we were presented with the Darth Vader Toaster. 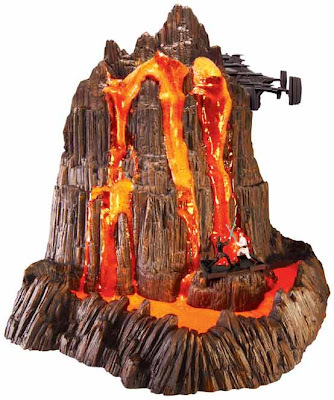 And now Uncle Milton - purveyor of such classic educational toys as the ant farm - is coming out with the Star Wars Mustafar Volcano Kit. Yes, your kids (or you yourself) can learn all about the physics of vulcanism while reliving the epic first duel between Obi-Wan Kenobi and the just-turned Sith Lord Darth Vader!